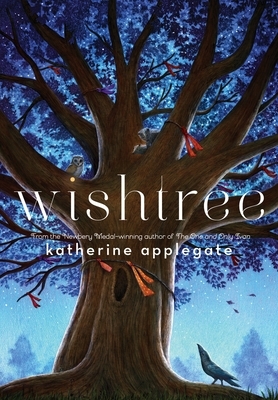 Wishtree by Katherine Applegate is another sweet story by this author of The One and Only Ivan. Narrated by a tree, this clever book tells of the happenings in a neighborhood. The tree's neutral point of view lets the reader decipher and judge the story as it unfolds. A very short read, but with a very positive message of hope. Would be a great read aloud for a classroom. The New York Times-bestselling story of kindness, friendship, and hope. Red is an oak tree who is many rings old. Red is the neighborhood "wishtree"—people write their wishes on pieces of cloth and tie them to Red's branches. Along with a crow named Bongo and other animals who seek refuge in Red's hollows, this wishtree watches over the neighborhood. Funny, deep, warm, and nuanced, this is Katherine Applegate at her very best—writing from the heart, and from a completely unexpected point of view.